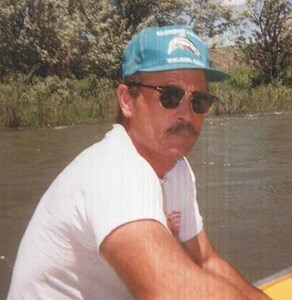 Donald Ray “Don” Watson was born June 29, 1955 to Donna Jean Reed Watson and Marion “Bud” Watson in Casper Wyoming. Don spent his growing up years between Casper, Lusk; and a place he loved dearly, The 77 Ranch in Lance Creek, Wyoming. Throughout the years Don spent time in Arizona, Lusk, Torrington, Jackson Hole and Mesquite Nevada. He settled in Casper full time in 1991. Don specialized and excelled in Custom home construction and was a Master Craftsman at custom finish work. His exceptional work can be seen from one end of Casper to the other. Watson Construction partnered with Rich Fairservis, Reeann McCool and Tony Stremming in 2002 to create Capri Homes LLC. Don’s passions included his Harley Davidson, golf, brandings at the 77 Ranch, his time spent in Mesquite Nevada and his cat Scamp. He is survived by his sister, Judy Watson Herz, brother, Troy Watson (Crystal), niece, Heidi Cardwell and her children, Bristol and Reagan, uncles, Bud Reed (Betty Jean), Harold Watson and Frank Jones (Amy), Fiancee, Robin Winters and her son, Jazz Turnbow, and numerous cousins and friends. Don was preceded in death by grandparents, Ray Reed and Bernice Reed, parents, Jean and Bud Watson and nephew, Tom Cardwell. There is a Celebration of Don’s Life planned for July 29, 2019, Don’s birthday. In lieu of flowers there will be an account set up in Don’s name at Hilltop Bank accepting donations for the First Annual Don Watson Memorial Golf Tournament to be held next summer. To share a special message with the family, click the "Share Memories" button above. Add your memories to the guest book of Donald Watson. Don was a good friend and I am proud that he was. We always had a good time whatever we did. Side bets on college football, on golf, on dice and always laughed afterwards. I will miss that and many others will too. I hope the best for Robin, Troy and Judy. Love ya all. I worked with Don from 2008-2012. He was a great man with quick wit and a great sense of humor. I will always remember the pranks he played at the office (taping mouses down, unplugging keyboards, and you didn’t dare leave your coffee unattended). Don has been my customer for several years. Became better acquainted when Robin was grooming my dog, and then we would chit chat about their life. Don was always laid back, easy going and friendly to all. I will miss seeing him. My condolences to the Watson Family.